A blog about Bigfoot, Dogman, Lake and Sea Monsters, Unidentified Flying Cryptids (UFC's) Out Of Place Animals (OOPA's) and other strange creatures of the British Isles!!! Scotland is a country comprising of 30,090 square miles of land, 10,250 miles miles of coastline, including it's many islands, with varied landscapes such as fertile farmland, thick woodlands, mountains, moorland, beaches, beautiful islands and stunning sea views, interspersed among 31.460 lochs and lochans and boasts, as a country, an almost unbelievably diminutive 1.9% of its land area that is actually built upon. Representing a tiny urban landscape, in a vast wild land, with a population of approximately, 5,404,700 million people. It is no surprise then, taking in to consideration the provident conditions present and the sparsity of human habitation, that from time, some of the local inhabitants and visitors to this area and to Scotland in general, claim to have had encounters with strange, bipedal, 'ape-men', that resemble in appearance, superficially at least, the North American Bigfoot. 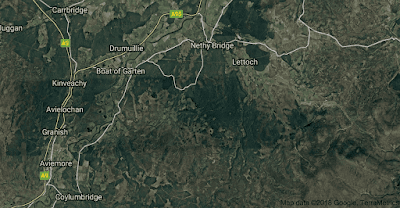 I have been intrigued recently, to receive a very descriptive British Bigfoot (or 'Wodewose') sighting, that occurred in Abernethy Forest in 2012, witnessed by two brothers, whilst on their annual camping and hunting holiday. One of the most compelling facets of this particular sighting, is that one of the brothers, has spent many years working in Zoos in the UK and around the world, as a primate keeper; making his description and his assertions about the animals appearance, of a highly important nature, to us laymen, who often have to traverse the highly controversial and divisive seas of opinion on the possible genus of these unknown animals; believed by many researchers, to be either a form of advanced ape or alternatively, a relict hominin. My name is Al Smith but everyone calls me Hillbilly Al, which got shortened to Hal some years ago, and it stuck. After leaving school, I decided that I wanted to be outside as much as possible so thought that a job with animals would be ideal Through BIAZA I found a job as a field biologist's assistant, which I loved and it gave me a great opportunity to travel and see some amazing places, meet different people and to see animals in their natural habitat. 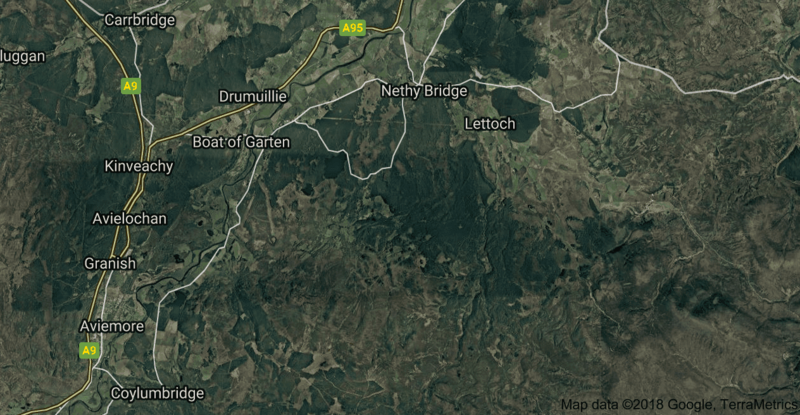 During this time, my elder brother and I, would make sure we booked our yearly holiday together - fishing, hunting and wild camping in Scotland. We always chose Scotland because their laws on wild stays are different than ours (In Scotland, you can camp for two days in one spot as long as you respect the land, then move on to another spot.) 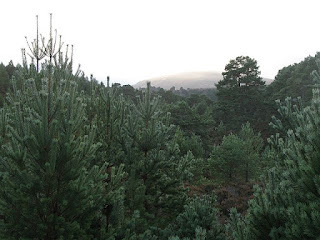 In August 2012, It was my brothers turn to chose the location for our annual holiday and that year he chose a wonderful spot in the Abernethy forest, Strathspey, in the Scottish Highlands. The next morning I woke around four am, way before my alarm was due to go off, but that's usual for me.. I've always been an early riser. I got out of my bunk, dressed head to toe in realtree camo, stoked the fire and put the coffee pot on. My brother was still lightly snoring so I kicked the bottom of his bunk to gently wake him. I could see it was starting to get light above the canopy, so got my rifle ready (only a point 25) and we quietly made our way to the treeline and the rabbit field as I now call it. As we stepped out, we stayed close to the treeline and headed left towards a huge blackberry bush I had noticed the night before. Now, I usually hunt alone because my brother has a heavy footfall, but after a few steps, I couldn't hear him behind me, so I looked back to see if he was still there. The look on his face was something I had never seen from him before. Both his mouth and eyes were wide open and he was looking straight past me. Now to be as honest as I can be, I don't remember fully if he pointed or spoke, because the next few seconds are a little blurry in my head. I looked to see what was upsetting him so much and got the shock of my life. There was a dark figure crouching down with its back to us, I reckon it was about fifty feet away and even crouched down, looked easily to be my height (5'2"). It looked like it was eating berries from the bush, from the way its shoulders were moving and the way it was hunched over. It then raised its head a little, turning slightly towards us, and tilted it to one side, as if listening. It stood up and turned at the same time and was now looking straight at me. It must have stood seven to eight feet tall! It was covered in jet black hair all over its body, except for the upper chest and face and its skin was very dark, except for its bottom lip which looked pink. It had a wide nose and large eyes. 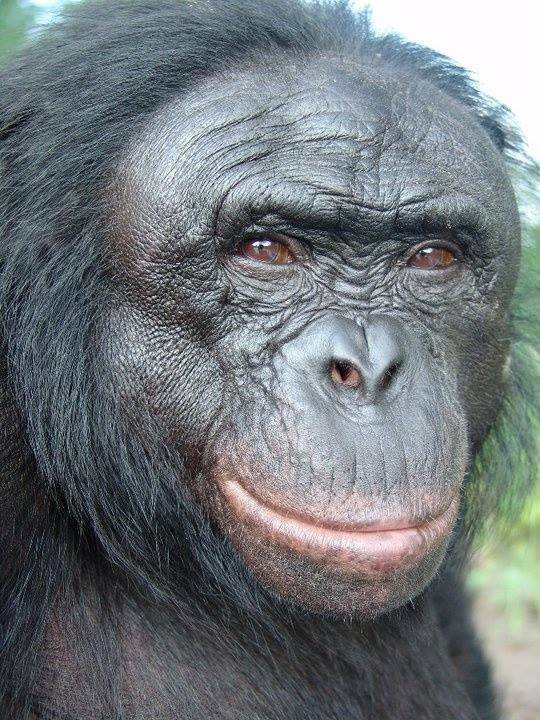 Its features reminded me of an older bonobo chimpanzee, but the face was much flatter, especially around the mouth. It was going bald on top and to my eyes, this picture of a bonobo is what i was looking at, but with a much flatter muzzle. resembled his British Bigfoot sighting. It looked to be around four feet across its shoulders, with longer hair on its forearms and and on its chin. I have never been so scared in my life, although it never once took a step towards me or made any threatening movement, It was just its sheer size and the fact that in my mind it should not have been there. I don't know how long we stared at each other, it felt like forever. I had an overwhelming feeling to put my rifle down, so I dropped to one knee, really slowly, and placed my rifle on the ground. It then turned and walked off into the treeline, just looking back one more time, to see if we were following it. Then It was gone. I looked back to get my brothers reaction but he wasn't there, he'd also gone, so I grabbed my rifle and ran back to camp, panicking now realising that I was all alone. By the time I had got back to camp, my brother already had his tarp, bunk and bits stuffed in bags and was working on mine. I tried to stop him as I wanted to stay and look for what we had just seen, but he wouldn't even speak to me. I'd never seen him like that before. He later sold all his camping and fishing gear. Not very long after, we stopped speaking all together. Although I still see his wife occasionally, she tells me he never leaves the city now. I went back in 2016, to the exact location and I admit now that I had taken on looking for these creatures. I was full of such big expectations, but other than tree breaks, leans and a very quiet vocalisation, that I couldn't quite make out, nothing happened. I had, of course, heard of Bigfoot before all this happened but never really thought about them.. Now my eyes are wide open. In all of my years spent in woodland and forests I have never seen anything that I could not explain straight away, that is before this sighting, which has changed my life. As someone who has worked closely with primates, I believe that what i saw was a simian and not a hominid. To me it was not human in any form, to me it was a big ape. The body looked very much like an upright gorilla, the arms and thighs were huge, Just like a gorilla. The face was much flatter, but still very ape like. One of the commonly reported physical attributes in this report and something that I always thought contributed to making Bigfoot, 'seem' man-like, to some witnesses, (apart from its bipedalism), is its flat face. Which, seemingly has, a separate nose and lips, instead of an ape-like muzzle. Could it be, that this unusual physical presentation leads many witnesses to the conclusion that what they are looking at, is a for want of a better word, a relict hominin, instead of some possibly extant species of great ape, like Gigantopithecus living on into our modern times? For witnesses like Hal, the British Bigfoot is a real creature and conceptually speaking, a game changer, as far as one's perception of the order of the world and its many inhabitants, are concerned. What most people find hard to fathom of course, is how such an animal could escape detection in a land such as ours, that is, allegedly, one of the most thoroughly explored in the world, and to that I would say, simply: - That it is difficult to discover something, you are not seeking to find! Written by Andrew McGrath. Ethereal theme. Powered by Blogger.